Follower of Jesus according to the ancient way, which He passed down to His twelve apostles, and which they passed down to the early church. It can be difficult trying to raise kids to walk with Jesus. One thing we’ve learned is that kids are very sensitive to the presence of the Spirit of God and can hear His voice pretty clearly. Example, our 8 year old was introduced to Harry Potter at school. I don’t know much about Harry Potter so I didn’t know what to tell my daughter when she came home with the book and was asking about it. I knew people in the past who wouldn’t let their kids touch a Harry Potter book, so that was my first inclination. Then I heard the whisper of the Holy Spirit prompting me to tell Shaandiin to pray and talk to God about it. So that’s what I did. She heard very clearly from God and He gave her an answer that I wouldn’t have thought of. He told her it’s ok to read the book to the point where Harry goes to the school. (Obviously God has read the book and knows each chapter 😂) So that’s what she did and that was the end of the Harry Potter discussion. We didn’t have to stress out and worry about her being tainted, nor did we have to play the Holy Spirit’s role and decide for her what to do. If you’re raising your kids to walk with Father, Son and Holy Spirit I would encourage you to try this. This is for kids who are old enough to discern light from darkness. Start askin your kids what they think or what they feel about certain things. And if they’re unsure don’t just tell them what to think, teach them how to think and discern the heart of God in every situation. One day you won’t be around to tell them not to do something, but God will be there to guide them if they’ve been trained to hear. Let’s raise a generation to know His voice. Probably the biggest cry in the hearts of people all across the globe is the cry for justice. Here in America this topic is causing many heated discussions on a daily basis. When I first saw the article I couldn’t believe what I was reading. I felt a mixture of emotions: sadness, anger, frustration, etc. But the LORD reminded me of something. When we seek justice from man, be it the police, the government, the president or whoever…we run the risk of being severely disappointed. I believe wholeheartedly that mankind can only give complete justice when we are in touch with Father, Son and Holy Spirit. It is only from God that true justice comes. Here are some verses from the Bible that state this very thing: may the Lord bless you as these verses wash over your mind and spirit. Those are just a few, but the Bible is full of promises like this. God is waiting to pour out justice on the earth. He’s waiting for us to seek His face. I know there are many who do not believe in God and that’s your own decision, but I will say this, whether we believe in Him or not does not change the truth about where justice comes from. Author jmathersonPosted on January 5, 2018 January 5, 2018 Leave a comment on Does God still heal? 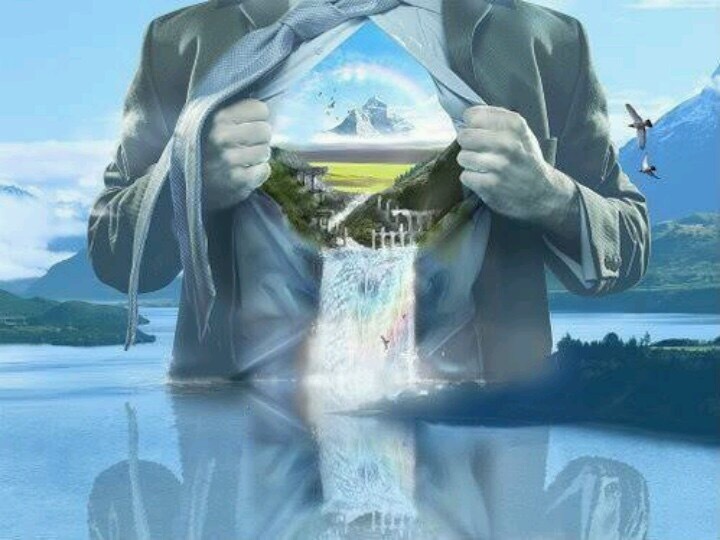 In the last blog I mentioned that there are clues in the Bible about the New Jerusalem that point to its reality as a present, spritual reality and not an explanation of eternity in heaven. Heavenly things are mentioned, but I believe they’re allegorical for the kingdom of heaven on earth. Before jumping into Revelation 21-22 I want to take a quick look at Ezekiel’s vision of the restoration. Something to keep in mind is that Ezekiel’s vision parallels John’s vision (Revelation) in many ways. Ultimately, they were both shown prophetic visions of Jerusalem’s destruction and the New covenant city, the New Jerusalem. In chapter 40 Exekiel is shown “a structure resembling a city” (verse2). Then in verse 5 he explains it as a temple. It’s strange that a temple structure would resemble a city. Was he seeing a temple, or was it a city? I think but was both. The city is the new temple. When you look at art you have to take a step back to see the full picture. That’s how you properly interpret biblical visions, which are given to us like artwork. All the following details and measurements mentioned by Exekiel may have meaning, but for the sake of understanding the visions as a whole, I’m not going to focus on that now because the measurements are not the main point. The main point is that the city is the new temple, meaning the New Jerusalem is now God’s dwelling place on earth and no longer the physical city with the physical temple. In the last blog I wrote about the millennium (“1000 year” reign) and how it is figurative. There are aspects of the New Jerusalem that help us see that it is also a figurative spiritual reality. I probably will not cover everything in this blog, but we’ll go through Revelation 21-22 to look at the aspects of the New Jerusalem to see how we are living this out on a daily basis. That is, those who surrender to Jesus and seek to advance His kingdom daily. In Revelation 21:1 John writes that he saw “a new heaven and a new earth.” In order to understand this statement correctly you have to put yourself in the shoes of an ancient Jewish person. To ancient Jews, “heaven and earth” was an idiom for the temple (here’s more info on that http://www.reenactingtheway.com/blog/when-heaven-and-earth-passed-away-everything-changed879420187179853150181). If heaven and earth (aka the Jerusalem temple) had passed away, what then would be the new heaven and earth, the new temple? If you study it out you’ll find that in Jewish literature, the temple was the place where heaven and earth came together. Well, now heaven and earth come together in the children of God, the church who are individually called the temple of the Holy Spirit in the NT and the church corporately is also called God’s dwelling place in the spirit as the above verse states. John says that he saw the New Jerusalem “coming down out of heaven from God.” To me, that’s a picture of something gradually taking place. It wasn’t past tense, but present tense. I believe there’s a reason it was shown to John in this way. It’s like the leaven Jesus mentioned in Matthew 13 that works itself through a batch of dough until the whole thing is leavened. The leaven is the kingdom of God, the dough is the world being transformed by it. 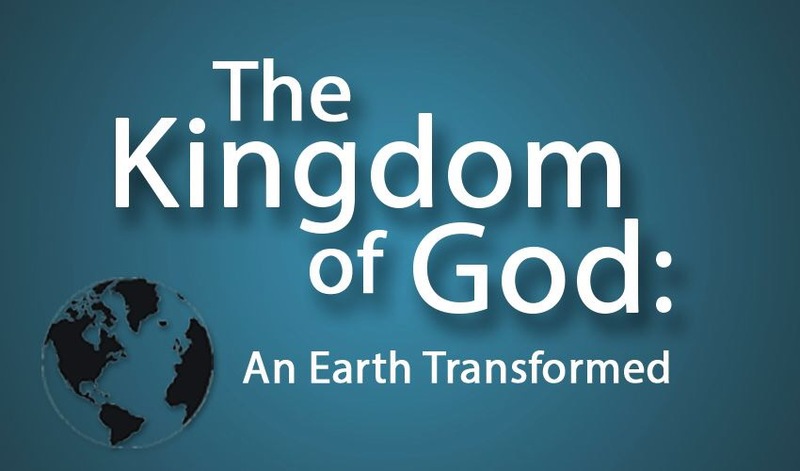 The kingdom of heaven is advancing and has been since the days of John the Baptist (Matthew 11:12). I believe it will continue to advance until the final day when Jesus does come and set His feet on the earth and summon all of the dead to awaken for judgment. Some will be resurrected to eternal life, some to eternal judgment. That’s it for now. We’ll pick up this discussion over the weekend or early next week. Grace and peace 2u.